You must be a member of the Istanbul African Culture Group to attend this activity. Would you like to join this group? Let's join the Istanbul Discovery Group for a special evening, enjoying tasty Tapas and craft cocktails in a cool and cozy venue. 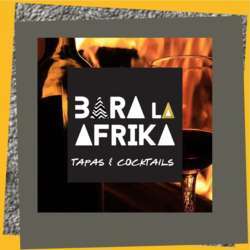 We will be treated to a unique and generous tasty menu with African influenced dishes using high quality ingredients. Menu includes 1 cocktail of your choice. There would be a live DJ playing whatever suits us.